Gujarat is one of the best industrialized states of the country and boosts of a number of industries in various sectors. It has some of the prestigious educational institutes of the nation and has always been a major center for pursuing engineering courses. Gujarat houses some of the reputed engineering institutions and colleges like Parul Institute of Engineering & Technology, Parul Institute of Technology, Indian Institute of Technology, Sardar Vallabhbhai National Institute of Technology, Ahmedabad Institute of Technology, Nirma University, Mudra Institute of Communications and many others. The state also houses some of the biggest research centers of India including Space Applications Center of the Indian Space Research Organization (ISRO) and Physical Research Laboratory. Here, we have created a list of top 10 University in Gujarat for Engineering based on different factors like quality of education, placement records, college faculty, facility and infrastructure, affiliation and approval, student’s preferences, national importance, etc. This list comprises of many famous government and private engineering colleges of Gujarat. Among the above listed top 10 universities in Gujarat for Engineering, Parul University located in Vadora would be one of the best options for the aspiring engineers who want to make a mark in the global engineering industry. Parul Institute of Engineering & Technology under Parul University is one of the best engineering colleges in India. It is focused on imparting quality education to promising engineers and technocrats wishing to make their mark in competitive global market. With quality teaching, highly qualified and experienced faculty members and state-of-the-art campus, the college has succeeded to be one of the best technical institutions in Gujarat. It provides five B.E, Bachelor’s and two Master level programs of engineering approved by All India Council of Technical Education and National Board of Accreditations. It strives to offer the best engineering education in both undergraduate and postgraduate level with supreme innovations in curriculum. 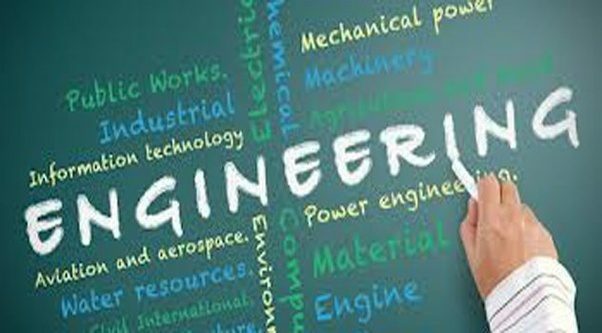 The college is committed to promoting excellence in engineering and technology offering B.Tech, B.Tech.-D2D and M.Tech programs in Aeronautical Engineering, Information Technology, Mechanical Engineering, Civil Engineering, Electrical Engineering, Computer Science and Engineering. Parul Institute of Engineering & Technology has earned the reputation of becoming the first engineering institution of Gujarat, to achieve the accreditation of India’s Highest Accreditation Bodies like NBA (AICTE) and NAAC (UGC) within a short span of five years since its inception. The institution has also been awarded as the as the best Industry Linked Engineering College of India in 2014, by the prestigious All India Council for Technical Education & Confederation of Indian Industries. The education in private universities is lot more different from public universities and colleges. They are different in more than how they are funded. Private universities are usually smaller in size and quieter. Hopeful students who are looking for private universities for their higher education should properly scrutinize the advantages and disadvantages of their options. Aspiring students considering a private university for higher education should opt for an institute that fits their educational needs and lights the path to future career goals.